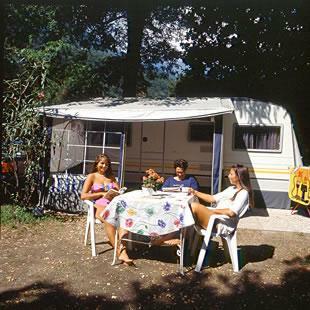 Caravans Knaus-Suedwind located at the Camping Riviera in Cannobio are spacious with comfortable furnishings, have a small double bed, a completely furnished kitchen with gas cooker and fridge. 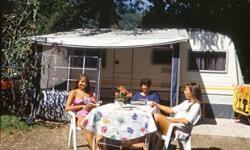 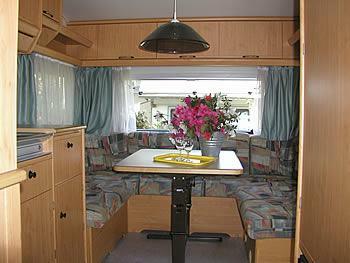 Another double bed can be converted from the table and sitting area and bathrooms are available at the campsite block. 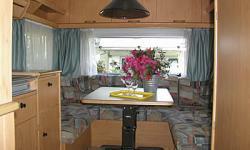 Guests can enjoy sitting outside at the table and chairs under the awning and parking is available.